Core green cabbage and put in large stockpot of boiling water. Peel off leaves with tongs when loose and pliable. Put on plate to wait. Empty water when finished and use same stockpot for making rolls. Make sauce. 1 large onion finely diced and half stick of butter, salt, pepper, saute until onion translucent. Add 1 16oz. can of tomato sauce/pureé/crushed. Add two heaping tablespoons of brown sugar. Bring to a boil and simmer. You can also add 1/2 cup apple cider vinegar and/or a teaspoon of smoked paprika. Make filling. 1 1/2 pounds of ground beef, 1 cup or so of already cooked rice, 2 or 3 garlic cloves pressed, salt, pepper, egg, worcestershire sauce. Mix. Put 1/3 cup in each leaf, roll like a burrito, place seam side down in sauce and simmer for 45 minutes. 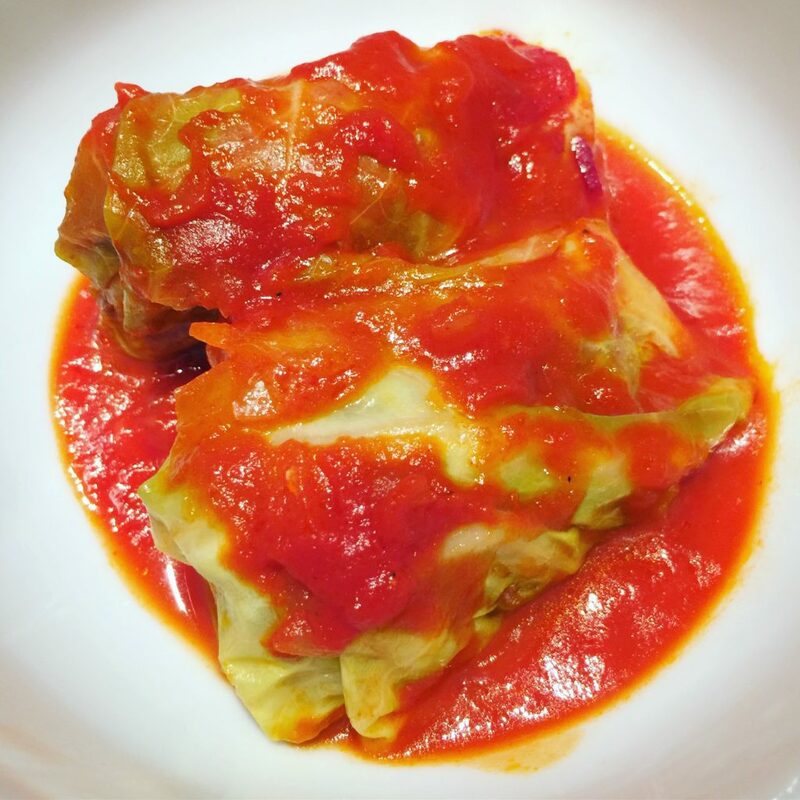 This entry was posted in Bentosh and tagged Cabbage Rolls on February 4, 2019 by mrstrauss.